Pacific, Gulf of Mexico (28N82W), Mediterranean -- I live my life with the water on the west. In case there is even one person out there who actually awaits these posts, I apologize for the delay. First there was the transition back to the Haifa Ulpan, after refusing to go back to the Nahariya Ulpan after the day I left in tears; then there were (and still are) holidays; and then I was (and still am) ill. I probably had a lower resistance to whatever was going around after having completed a 25+ hour fast, and the fact that I commute on the train everyday, where I expose myself to germs from hundreds of other travelers probably didn't help. SUNDAY EVENING (just before dusk), SEPTEMBER 27: Imagine your typical (okay, let's go with stereotypical as that is more fun) American tourist in Israel. He is, of course, completely unfamiliar with Israeli holidays but he can't help but notice something is going on. Err.. actually it is more what he notices NOT going on. He has traveled from the city where he is staying, to a smaller town - just out sightseeing. He has done this before with no problem, but he begins to get worried when he notices many businesses are closing and the traffic is disappearing from the streets. Soon our tourist realizes there are no buses, no sheruts (group taxis), and no individual taxis. There are always individual taxis - even on Shabbat. What could be going on? More importantly, how will he get back to his room? He notices a few people walking to synagogues, but not very many so he decides it cannot be any major religious holiday. Besides, they just had that New Year thingy about a week and a half ago, so he figures they wouldn't be having any other big holy days soon. No, it cannot be religious because there just aren't that many people going to the synagogues. He has never seen anything like it. As he makes his way, walking, back to the big highway that runs through town he sees it is completely deserted! Eight lanes of empty macadam - but not for long. Soon people begin to come out of their homes and he cannot believe how quickly the streets are again filled - but not with motorized traffic. He comes to the conclusion it is National Bike-Riding Day. Bike are everywhere; there are all shapes and sizes and most appear to be brand new. Most children are on bikes, but those without bikes are on roller-blades, skateboards, or tricycles. The parents are out watching the children, visiting, and having something to drink. The synagogue folks make their way home, walking through the throng of bikes and other vehicles. He finds a park bench from which to watch and by the time it is 11 P.M. he decides he may actually have to walk back to his hotel room. On the way back he eventually sees a car and manages to catch a ride but cannot really communicate with the older driver who sounds as if he is speaking Russian. Our tourist decides the man must have attended school before English became required in the Israeli school system. Our tourist uses his limited Hebrew to thank the man when he gets out in front of his hotel. The next day, Monday, he is surprised to again see many people out bike-riding, and very few cars on the streets. Again, businesses are closed, and many people are having picnic meals in the park. Some have picnic baskets attached to their bicycles and others pull their meal in a child's red wagon. Our tourist is in awe. Being very health oriented and green-minded, he cannot wait to get home and tell his friends about this wonderful Israeli holiday that promotes exercise and an abstinence from vehicles that pollute the air with fossil fuels. As someone who tries to keep up on these sort of things he cannot believe he was unaware of the holiday's existence. He thinks it must be something relatively new, but on the other hand, the traditions seem to be well established, so maybe the the holiday is not new. When he gets back to the U.S. he plans to try to start something like this in his home state of California. He begins thinking of catchy names by which the new holiday could be called, and then momentarily wonders what the Israelis call their holiday. He also noticed a few people going to synagogues again; then he remembered he heard somewhere that some Jews pray three times a day, every day. He decided some of these Jews were probably taking advantage of the bike-riding holiday to go to synagogue even if they did not always pray three times per day. He found himself thinking they were probably lazy and should be ashamed of themselves for not getting out and supporting this day that honors exercise and ecology. After all, they could pray anytime but how often does someone get a day off to exercise and show their support for ecology? What a modern, forward-thinking country, this Israel. July 2016 NOTE: I posted this several years ago. At the time I thought everyone would "get it," but I have since learned that is not the case. So, for the record, there is no such thing as an Israeli National Bike Riding Day. This was a satirical post describing Israel on Yom Kippur, the holiest day in the Jewish calendar and a day of fasting. Israel is the Jewish state, nonetheless when in Israel on Yom Kippur one will see more secular than religious activity - primarily bike-riding and picnics. HOME SWEET HOME -- Oh what a relief it is! The search is over! I have found a place to rent. Signed the papers and paid the money but it is not effective until 1 September. Also, my lift which I had been told was here in late July, apparently is not here, but rather is arriving on 4 September. Okay, for all three or four of you who sometimes read this and might be interested, here are the details. I will try to go visit the building again before moving, so I can take some photos to post here. Julia is still in the hospital. It is one week longer than the original amount of time they had estimated, and we still do not know when she will be released. Anyway, as soon as she comes home, I am taking a trip to Karmiel. Now that I have given up (at least temporarily) on living in a coastal town, I have been looking at a few other possibilities. Karmiel is beautiful. Of course I have only visited virtually, by use of Google Earth, Egged Bus Routes, Panoramia, and Yad2. During my daily virtual visits, I have seen what it looks like, plotted distances for walking, and learned the bus routes and major stops. 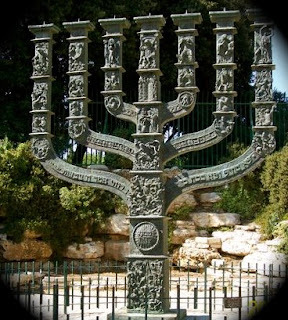 I have marked many of the locations important to me and I am finding rentals and homes for sale at reasonable prices within walking distance of the Masorti (conservative) synagogue. If I move to Karmiel, I will actually be able to attend services. Something I have not been able to do in Haifa. 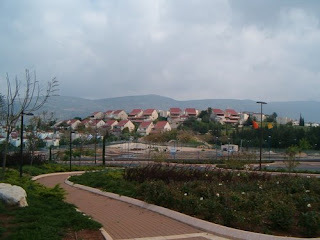 As you can see, I have attached several Karmiel photos (from Panoramia via Google Earth) with this post. 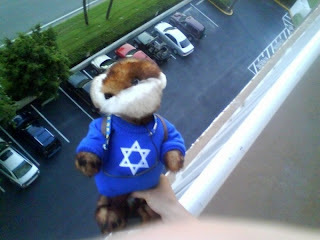 When I figure out how to do it, I will put an entire Karmiel album on facebook. 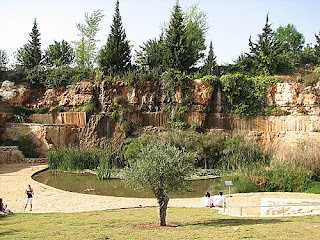 I trust that when you see the photos, you will have to agree that Karmiel is beautiful. Please leave a comment to let me know what you think of it - even if you do not agree that it is beautiful. If you know me at all you know I absolutely detest renting. But, being a landlady, I do know something about renting. And let me tell you, renting in Israel is very different from renting in the U.S.
First let me describe the housing one will find. As you might expect, most housing here is multiple-family. While they may exist, I have not yet seen any multi-family buildings that are solely rental units. It is basically a lot of condominiums, with units in the building being in varying condition, due to having various owners. Some buildings are mostly inhabited by renters, some mostly by owners, and others are mixed. Even if there are mostly renters, there is not high turnover since 12 month contracts are standard. Can you say, "IN ADDITION TO THE RENT," four times really fast? No, it is not a tongue twister, just a pocket-book buster; read on. In most cases there is no building superintendent, so building issues are handled by a building committee. It is similar to a condo association board, and collects a monthly fee (similar to condo dues). And, "Why," you may be wondering, "would a renter care about such things?" The renter, not the landlord, pays the monthly fee (called va'ad bayit) to the committee. This fee is paid by the renter, in addition to the rent. Taxes are also different in Israel. Rather than county property tax paid yearly, there is municipal tax (arnona) that is usually paid monthly but in some areas bimonthly or quarterly. Again, you may be wondering, "Why would a renter care?" And, again, I must tell you that this tax is paid by the renter, in addition to the rent. I was initially told that the arnona included trash and water, but later found out it only includes trash. Water is a separate bill, and of course, water is paid by the renter, in addition to the rent. One consideration, in looking for a rental is trying to find a landlord who speaks English. I mean, really, what if your Hebrew is minimal and you need to explain that your toilet is overflowing and you need it fixed asap? The landlord's English language ability, or lack thereof, will not matter in this situation. What you need is a plumber who speaks English, because you, the renter, will be calling the plumber - and more importantly, paying the plumber yourself, in addition to the rent. As you might imagine, looking for a rental while one is unemployed is a little tricky. Many landlords ask for a cosigner. Many people who make Aliyah have Israeli relatives who will do this for them, but some of us do not. I know several non-working olim who were not required to have a cosigner. One of them suggested that if the landlord started talking about a cosigner I should offer to pay a few months in advance. At my last meeting with a potential landlord, the Hebrew speaker who was helping me out, made just such an offer on my behalf. Then the landlord explained that he would already be requiring four months in advance WITH a cosigner, but if I could not get a cosigner he would need 12 months in advance. And that was just the beginning; he wanted a lot more, which I may write about in a future post. And, as it happens, that landlord and his wife were divorcing but claimed they would still manage the rental together. That could be a little touchy, I thought; I might call one of them about an issue, but then get referred to the other, then get referred back to the first one, and so on - with neither of them agreeing to talk to me. Of course, there is probably no reason to call them anyway - certainly not for plumbing or other maintenance issues, since those would be my responsibility.... in addition to the rent. The Jewish Agency had given me a list of things to do post haste. Today I completed the last two items on the list: signed up for my absorption basket monies to be deposited to my bank account, and signed up for my free five months of Ulpan - which will begin Monday. 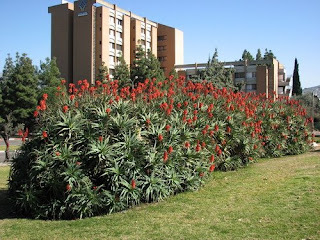 Now, while taking Ulpan, I can start working on the items that were not important enough to make the Jewish Agency's list: finding a place to live, getting my foreign degrees evaluated and accepted, enrolling in the teacher retraining program (to get an Israeli teaching license), and getting a driver's license. Don't be alarmed by the title of this post; Hezbollah has not attacked. And they might as well not bother; there is enough battling over land just between the Israelis. The issue isn't about whose land it is and who has the right to be there, but rather, whose land is better, and where new olim should settle. I have met and/or talked electronically with people from Haifa proper, and people from the Qrayot (that group of suburbs across the bay - two of which, Haim and Shmuel, are actually part of Haifa, rather than separate townships). The good thing is that these people all are proud of their part of the world. The bad thing is that they have very little good to say about the neighborhoods across the bay. These people mean well when they tell new olim where they should settle; they are certain they know what is right for newcomers since they have found what is right for them. They, I am sure, are trying to save us new folk from the difficulties and mistakes they may have experienced. Most conversations go something like this, "Even in this short time of talking to you, already I can tell that you will be happier if you chose to live in _____; it will be perfect for you. But whatever you do, don't let yoursef end up living in ______. I know it might sound like it would be alright, but it just isn't right for you. Trust me; I know what I am talking about." Some people will even go so far as to make claims that aren't true. My hostess in my temporary abode told me there were no beaches in the Qrayot - just industrial areas by the water. (She wasn't lying to me; she really thought that was true.) I could be mistaken, but after growing up in Oregon, which is on the Pacific (that is the world's largest ocean, for anyone who is geographically challenged), and then living in Florida on the Gulf of Mexico, I am thinking I probably know a beach when I see one, and I saw a gorgeous beach in Qiryat Haim. One good thing that came out of my recent hiking career, is that I finally understand those lyrics in country songs about grandparents who claim they walked long distances to school , uphill both ways. I always thought it was a joke, but now I know they lived in a pace like Haifa. I don't know how it ends up being uphill no matter where or which direction you are going, but it does. Trust me; I know what I'm talking about. I said this would be more of the good, the bad, and the ugly, but really there is not any 'ugly' here. It is truly a beautiful area - no matter which side of the bay one is on. I just cannot fully enjoy the beauty when I am out of breath and panting as I try to make it to the top of the next ridge. Being in Jerusalem on Sunday 12, July, was the high point of my week; I was so excited to finally do something special that I had been wanting to do for a long time. You may be thinking that I was excited to pray at HaKotel, or to once again stroll through Ben Yehuda Mall or Mamilla Mall, or that I may have dropped in on people at the Conservative Yeshiva. While all those things would have been enjoyable, there was just no time. I was there to take care of business. NBN had a set up whereby we could pick up our ID cards and get information from representatives of several companies all in one location. There were reps from various banks, healthplans, newspapers, magazines, and clubs/associations that might be of interest to new olim. So now you are thinking that while all that information in one place was probably helpful it doesn't really sound that exciting - and right you are. My special treat came before I went to the NBN office; in fact it was the first thing I did after getting through the bus security at the Jerusalem CBS. I had a hamburger! Yes folks, you read correctly - I finally had a meat meal other than fish or Hebrew National. Baruch HaShem, it is great to be in a country with kosher meat. The good: The people are good. I have met some very nice people who are eager to help me adjust to life in Israel. I attended Friday and Saturday services at a very nice synagogue with very nice people, one of whom invited me home for lunch after Saturday service. Lily is a nice dog who has not snarled or growled at me once. While the people are nice, I miss y'all so please email or call my skype number. If you ask me in an email, I will give you the skype number. The bad: The internet service is bad. I have been trying unsuccessfully for two or three days now to upload video of my last day in the US and my first day in Israel. I give up. I am using the internet connection of the lady with whom I am staying in the Hadar area of Haifa. I am not sure if her internet service is typical, and I am not sure if the fact that she has been downloading several items has had an impact on my ability to upload, or indeed, even use other functions, but I am not having a good online experience. Besides not being able to upload video, I also have to wait a long time for any page to load/open. This slowness has been consistent for the whole time I have been here. A new internet problem is that my Google chat has been disabled, with a message telling me to check with the network administrator. So it is not that I have not wanted to keep in touch with people in the states, it is just that going online is very frustrating and sometimes fruitless. The ugly: I am ugly (and smelly). Face and hair, wet with perspiration, is not attractive! I have been very exhausted and am not handling the heat well at all. It is surprisingly humid here - worse than Florida. There is no A.C. where I am staying so I am going to have to adjust. 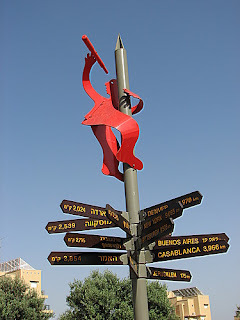 I do not mind walking, but I am finding walking in Haifa to be very difficult due to the fact it is built on a mountain. I am getting short of breath and having a bit of chest pain when walking long distances - and they are all long distances. It takes me about 70 minutes, moving as fast as I can, to walk to synagogue, and then I am exhausted and covered in perspiration. This week: My tasks for this week are: get ID card, sign up for health plan, open a bank account, sign up for the government financial assistance, and try to register for Ulpan. I do not know yet, but I have heard there is a possibility that I will not be able to start Ulpan until September. If I understand correctly, I get 5 months or 500 hours (whichever comes first) for free. After this week: Julia still does not know when she will get to go for her treatment. She will have three weeks of treatment, during which time I will have two jobs: take care of Lily and find a place to live. Even when it seems that all the big things are done (getting Aliyah approval, getting the visa, arranging to be on a charter flight, yada-yada-yada) there is still more to do; it is never ending. Tomorrow I am closing on the sale of a property to my son, then finalizing some legal issues with my estate, then taking care of some banking matters, and then having - ugh - dental work done. Thursday I am finishing the paperwork to get one of my rentals signed up with a new property manager, attending a memorial event for my husband who died last year (it would be his 60th birthday that day), then attending the Bon Voyage party my daughter is giving me. I know, it doesn't really sound like that much to do, but the fact that I no longer have a car makes it seem a little overwhelming. If it weren't for good friends and family members I couldn't get it done. I am in awe as I gaze upon a grainy black and white photo of me on a State of Israel Aliyah Visa. While some people might find the photo, and indeed the entire visa, unattractive, let me tell you that this is undoubtedly one of the most beautiful things I have ever beheld, and definitely the most beautiful thing I have seen this week. Hine Ma Tov! The visa is certainly one of the blessings for which I will be thanking HaShem this Shabbat. What about you? As the Shabbat nears, what beautiful thing have you seen this week, for which you can be grateful to HaShem? I would love to read comments expressing the good things you have recently beheld. "$20 or you'll never see him alive again!" The message and photo came yesterday. Today, I am happy to say, Gary Gopher has been rescued! If you do not know this little guy, here is some background. He is the grandson of the gopher who starred in Caddy Shack, back in 1980. Gary tried the golf course life but it just wasn't for him. He wanted to see the world - from above ground. We met when he was seeking a position working with children. He has lived in my classroom for six years, while working as the Head Animal Guide. He helped take students on virtual tours of the world, as we studied geography. Most of his friends are 12 year olds, who are used to seeing him in his safari suit with backpack, but here you see him dressed for his next, and most important adventure ever - making Aliyah to Haifa, Israel. In this photo, Gary is being held from the balcony railing outside a rental condo I own. I have been storing some things there while sorting and packing for the journey to Israel. Gary has been house-sitting the property. This building - Sea Castle Condominiums in Gulf Harbors - is supposed to be very secure. There is a fob system to get in the building, and each fob has its own id number so they can track who is coming and going. Also, there are security cameras. It just goes to show, Jews are not safe anywhere. I am making this point, because I am tired of hearing, "Israel!!? Aren't your worried that it is dangerous there?" In the last post, believe it or not, I did not share all the details. I mean, really, what am I writing - a book? Anyway, I had just gone into the locked room where you get in line to do the actual applying, and I saw the people in line in front of me pulling their passport photos out of an envelope. I realized that my passport photos were in the leather portfolio with the offending calculator, that had been locked in a second room across the hall. I pushed the buzzer to ask to be let out into the hall. Then once in the hall, I buzzed the third room - where the intake officer goes while he is not 'intaking.' He came out with one of those sooo Israeli looks of exasperation. I explained I had noticed the family in front of me with their photos, and I had realized my photos were in my portfolio. He wanted to discuss whether I needed them. "Maybe," he said, "they are applying for something different from you. Did Rosie say that you would need the photos?" I answered that she did not mention the photos but I wanted to have them in case they were needed. His look of exasperation deepened to a level only possible for a sabra, as he retrieved the portfolio and I took my photos. As it turns out, I was not asked for photos, so I was feeling kind of foolish when I went back into the hall. I was all prepared to apologize to the officer for putting him to the bother of allowing me to retrieve the photos - apparently unnecessarily, but a new officer came from room three. I had started to speak, thinking it was the other fellow, then had to say, "oh, you are a different guy." He responded, "the other one is the nice one; did you have something to say?" I just muttered that I was going to tell him he had been right about something. Officer number two said, "Of course he was right. He is always right." I just got off the phone with the consulate. They called to ask why I did not give them my photos, and to tell me that now I must send them the photos so they can process my application. They convey all this with a tone that matches the "look," to which I am becoming very accustomed. So I can see how it is going to be, if I do not develop a more Israeli attitude: I will be right about something, but after getting a couple of those sooo Israeli looks of exasperation, I will back down and not argue my point. Then it will turn out I should have argued, because now I have to do more work and experience additional delay, and be asked why I did not do things correctly in the first place. I just returned this afternoon from a day in Miami, where I picked up my JAFI approval and delivered it to the Consulate along with my passport. They say I should receive the visa within a few days. In retrospect it was probably not the best idea to wear a fully loaded 22 pocket Scottevest travel vest to the consulate. The officer asked me to empty my pockets but the one little tray he put out was rapidly overflowing. He asked if I had anything that could be used as a weapon and I said that sometimes I had a nail file but I could not immediately find it, so I said I must not have it with me. Later, when he said I could retrieve the items from the first tray, I noticed the nail file, and pointed it out to him. By this point I don't think he cared; he was busy with an item in tray number three. He asked, "What are these?" as he held up a container of brushpicks. I told him they were for the teeth, but he looked like he just couldn't grasp why such a thing would exist. Then came the purse. You may wonder why I would be carrying a purse when I already had 22 pockets full of necessities. Indeed I usually do not carry a purse, however, the purse was not to hold purse-type items, but rather my Acer netbook (a miniture laptop perfect for travel). The consulate officer asked me to turn it on and open a document on the hard drive. I said I didn't think I had any documents on the hard drive because I keep my documents on my Mac. So he asked why I would bring this computer instead of my Mac. I explained that the Mac does not fit in a purse and the Acer is for travel internet use. He got the same look as when he learned about the purpose of brushpicks. Then the officer wanted me to turn off my phone and ipod. When leaving home my nano had a dead battery so I grabbed my i-touch. I usually do not take it because it behaves as if it has a mind of its own; it doesn't like to stay properly shut off, so it turns itself back on. It did this a couple times at the consulate and as I was apologizing about the trouble getting it to stay off, the consulate officer looked away as the screen again lit up, and said to me, "it is off now - it is okay." All in all, the most offensive item I had turned out to be a calculator. I had not even realized I had one. It is built into a multi-pocket leather portfolio I had brought along that was holding every document I had previously provided for my Aliyah application - just in case. He had to lock the portfolio into a secure room while I was on the premises, all because of the built-in calculator. I guess I should try to cut the leather and remove the calculator so I can use the portfolio without worry that it will cause a stir. I will do that right after I give the i-touch away to my daughter, and go out and purchase an emory board, with which to replace my nail file. Oh Wow! Rosie (shaliach) called today to say my Aliyah has been approved. I am sooo thrilled, and grateful to HaShem! I am scheduled to meet with Rosie on Monday at 11:00 in Miami. If I understand correctly, she will be giving me the papers to take to the Miami office of the Israeli Consulate where I can apply for my Aliyah visa. Hopefully the visa process will go quickly. Will write more when I get my breath back. OK, truth be told, I am more of a cat person. 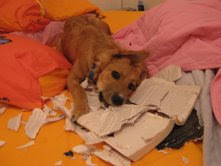 However, Lily and I have something in common: when we find a good book, we really get into it. Lily and I will be spending some quality time together after I make my Aliyah to Haifa. I just hope we do not both want the same book. It is Shavuot, so we are celebrating the gift of the Torah! But even without the holiday, this has definitely been a good week! NBN says they are going to contact JAFI and request my application be expedited. Also, I have found a friend who will let me stay with her when I first arrive in Haifa. This way I do not have to enter into a long-term contract for a rental, sight unseen. Julia is a life-saver! 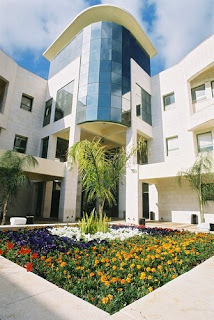 My temporary residence (at Julia's and Lily's place) will be on Hess in Haifa. Lily is a dog, by the way. I will be helping to take care of her whenever Julia is away from home. Go to Google Earth to see where I will be staying. It is 500 ft above sea level -- that is high ground for a Florida girl! Yet, it is still very close to the water. Next week will also be a good week. How do I know? I know, because next week is the last week of work for this school year. This is very likely the end of my teaching career, other than possibly doing some private tutoring. I would have a party to celebrate, but I have no time. NBN just sent me confirmation that they have me on the 6 July flight. Of course it won't happen if JAFI doesn't get my application processed so that I can get the Aliyah visa prior to 21 June. I am actually beginning to think that the 6 July flight may really happen for me! I packed several boxes today. Also, I threw some things away and added to the pile of things to go to charity. My last work day for the school year is 5 June, so from that point on I will be able to work on the Aliyah preparation full time. That means that while packing, I can be repeatedly calling JAFI to keep bugging them about my paperwork. Maybe they will get so tired of me that they will do whatever it takes to get rid of me. Handy tool for people in a timewarp. Despite the fact that there has been nothing about it in the news, I am convinced the Tampa Bay area is experiencing some odd sort of time anomaly. The closer it gets to 6 July the slower time goes. Oh you may be thinking it is just that I am impatient for the Nefesh B'Nefesh flight home, but it seems like everyone around me is complaining that time is moving ever so slowly! Of course there is the fact that everyone around me is either a 12 year old who has no concept of time, or a middle school teacher, who is sick of having to explain the same classroom procedures midway through fourth quarter, that we did not mind explaining in the middle of August 2008 during the first week of school. Pushing those explanations aside, because I choose to ignore them, I am left with no alternative but to conclude that I am "not in Kansas anymore." (And I am really sure about that, since I have never been in Kansas, and could never be in Kansas because it is landlocked, and being in a landlocked area gives me claustrophobia.) So....we are in a timewarp. And what is really weird is that Jerusalem is in the same timewarp. If they were not, the Jewish Agency would have been able to get my Aliyah approval done long before now. Hopefully sometime soon, God will decide to jiggle the universe and put everything in alignment so that time is once again passing at a normal rate, and I will get my Aliyah approval so that I can then start complaining that time is going too fast and I don't know how I will ever get all the arrangements made before my flight...yada yada yada. I have been online lots lately and have 'met' others who are planning Aliyah for this year. Meeting people online is a new thing for me because I am old - 53 to be exact. Anyway, now that I have gotten used to this 'meeting online' thing I have found I am eager to 'meet' more future olim. I am especially interested in meeting people who plan to settle in the Haifa area. I am planning to locate in one of the Krayot - probably Motzkin or Haim. From recent conversations with members of the NBN Yahoo Aliyah group, it seems I am not the only one waiting longer than expected for application processing. Some people planning Aliyah for spring have not yet received their approval, so I guess those of us going in the summer should not expect approval anytime soon. I am Tonielle: a Jew, a widow, a mother and grandmother, an avid reader, an amateur chef and baker, a retired teacher, a traveler, a cat-lover, a parrothead, a student of life, semi-green, usually logical and analytical, a bit OCD; a bit ADD, and sometimes a bit sarcastic.